Why You Need Your Wisdom Teeth? 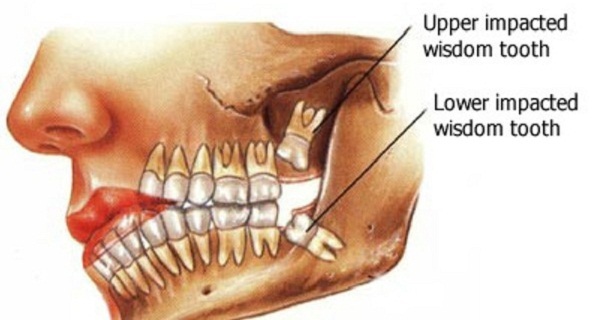 Wisdom teeth have their function in the body, or they wouldn’t be there. They are important for the chewing process and add to the biting surfaces. Only about 12% of (truly) impacted wisdom teeth are connected with conditions such as cysts and damage to the adjacent teeth. Infections, treatable with antibiotics,oil pulling and oral rinsing, occur in fewer than 10% of all wisdom teeth. These figures are comparable to pathology associated with appendix. Yet, there are no mass preventative appendix removals. Most people believe that their wisdom teeth will move other teeth and cause overcrowding and overlapping.However, third molars do not posses sufficient force to move other teeth. Our teeth are vital, living organs within and connected to the body as a whole. Wisdom teeth are connected (according to acupuncture meridians) to our small intestine and the front of our pituitary gland. In fact, 46 percent of the motor and sensory nerves in your brain’s cerebral cortex are interconnected to your mouth and face. So any time a tooth is removed, it disturbs and breaks anacupuncture meridian that flows through the area of that tooth. The meridian acupuncture system, known in Traditional Chinese Medicine for more than 5000 years, shows the vital relationship between your teeth and your joints, spinal segments, vertebrae, organs and endocrine glands.